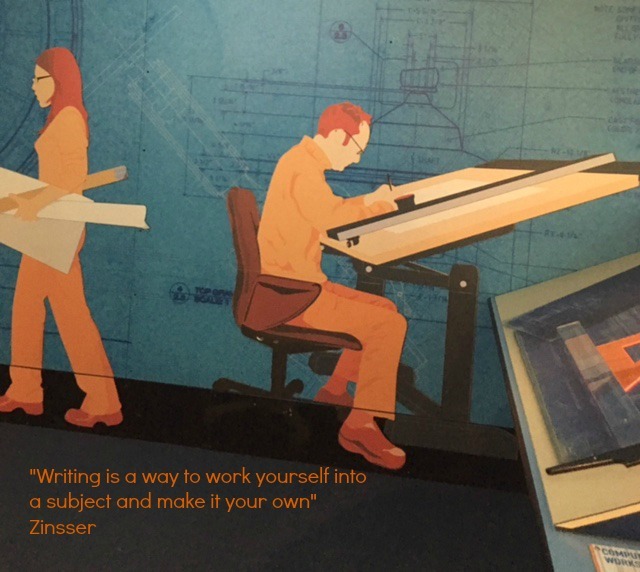 My ImagineIT Project is focused on finding a way to excite the teachers about incorporating writing into the math class. 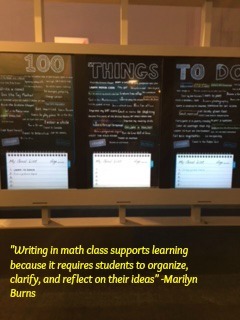 Implementing writing in the math class will support the students with their learning. With writing incorporated, students have the ability to take all of the information that is stored and absorbed in their heads (as the first and third image depicts) during a lesson and reflect on it. The middle image shows how the students take their understandings, misconceptions, confusion, and strategies and try to make sense of it . It shows how they begin to formulate and or construct their ideas and thoughts and represent them in a way that they understand. Looking at TRU Math dimensions, The Mathematics and Agency, Authority, and Identity, through writing this offer the students opportunities to: show their understanding of the content provided, communicate, justify, argue, and explain their thinking, and through small group reflection sharing it allows the students to build off of their peers knowledge and understanding). When people think of the subject math, they think of add, subtract, multiply and divide. Math is seem to most as JUST numbers. I want the teachers at Perkins Bass to understand that Math goes beyond numbers. Currently many students look at math class as memorizing facts, following steps in solving equations, and taking tests , and getting the RIGHT answer. However, they are unable to explain how they came to the RIGHT answer or if their answer make sense. Unlike Reading, Math is a subject that builds off of each concept introduced. Meaning, if you do not understand how to add, you will not understand the concept of multiplication. It is imperative that students and teachers move away from looking at Math as just completing odd problems, and find a way to allow students to construct the mathematics that they are leaning. This project s designed to show how implementing writing in the math class can support student learning by giving the students opportunities to journal/reflect, create learning logs, express mathematical ideas/understanding, and allow teachers to have another way to assess what the students know and have misconceptions about. 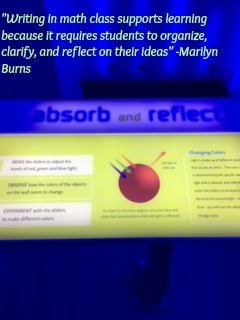 I plan to incorporate writing into the math classrooms at Perkins Bass in an effort to support students learning!